MultiBrief: Titanium vs. tungsten: Which is the most resistant to corrosion? Titanium vs. tungsten: Which is the most resistant to corrosion? 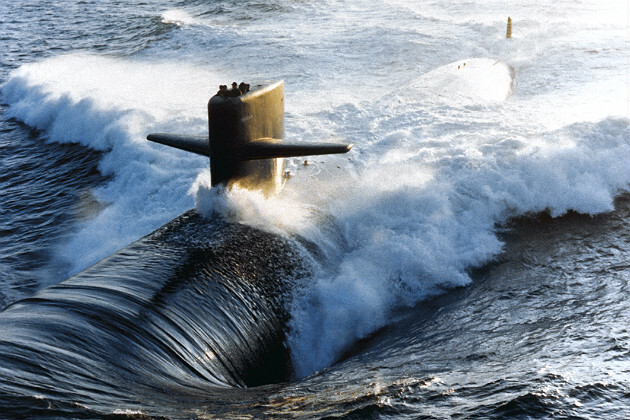 Titanium is often used to withstand ocean pressures for submarines, while tungsten is the first choice for the military. Steel is the most common metal used for construction and engineering, with more than 1.5 million metric tons produced every year as an ingredient for everything from skyscrapers to scalpels. Steel has ruled the world for two centuries because it's relatively cheap and tough, but there are times when steel is just not tough enough. Recently, a full variety of custom-designed alloys has come to light — original ceramic composites and nanofabricated materials, like carbon nanotubes, that have been engineered to withstand specific pressures or environments. However, when engineers need to deploy the overall strongest metal to handle a wide range of stressors and corrosive threats, there are only two serious contenders: titanium and tungsten. Titanium is used to withstand the deepest ocean pressures for submarines, and tungsten carbide is the first choice for the military. But which of these two can claim the title of the world's strongest overall metal? Let's take a look. Another way to look at what "strongest" means is to consider which can stand more daily abuse and stress under a variety of common conditions. In other words, it means deciding which would be more resistant to the most common forces of corrosion. When you consider which will stand up to real-world abuse the longest, there really is no question. Here is a rundown on the relative strengths of titanium versus tungsten. Tungsten wins on melting point by over 3,000 degrees — tungsten requires 6,192 F, while titanium only takes 3,034 F. This is why tungsten is commonly used for light bulb filaments and television tubes. Heat resistance also makes it valuable for high-speed cutting tools and in rocket engines. Tungsten also takes first place on the Mohs scale of mineral hardness. Titanium rates a 6 out of 10; tungsten rates a 9 out of 10. This is why tungsten is now being used in making rock-climbing spikes and golf clubs. Titanium wins the war in corrosion resistance, though. It has more resistance to corrosion in marine and acid rain environments. It doesn't suffer from pitting corrosion, crevice corrosion or stress corrosion cracking. Its surgical applications also attest to its nontoxicity within the human body. Despite the high cost of titanium, it has also become more frequently used as building material because of its resilience. Titanium is a noncombustable material with a much smaller coefficient of thermal shrinkage and expansion than stainless steel, so it can withstand greater variability in temperatures. But the surprise winner of this contest turns out to be a combination of both, according to the latest research by Boeing. The company has discovered that titanium with a tungsten-carbide-cobalt coating applied through high-velocity oxygen fuel (HVOF) procedure can provides the best protection for their landing gear and flight control equipment. The result is a material that has a greater strength-to-weight ratio, requires less finishing overall, can be easily maintained, and is far more resistant to corrosion in stress-heavy daily use. Another great advance, in terms of time and cost, is that baking to prevent embrittlement is not necessary because the infusion of hydrogen into the base metal is not a concern. Instead of corrosion, the biggest threat to this new material is high-pressure washing during regular maintenance. Which material do you work with most frequently?